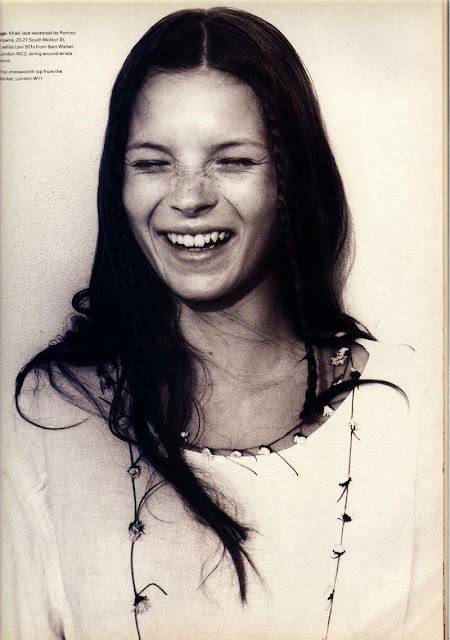 Kate Moss when it all began. I remember the first time I saw her face, I bought an Allure, or I think my Mom bought it for me. She was part of the whole waif movement, with Amber Valetta and Shalom Harlow. It was nice to see someone young and fresh faced and not the conventional supermodel.